I woke up feeling pretty good after having a couple of glasses of wine last night. It was never planned to be a big night of drinking but I’m also being careful at the moment because I am still taking painkillers intermittently. I’d also not had a drink for around 3 months until recently, so I’m not all that used to it anymore. After a relatively early start, we went to Aldi to get our weekly food shop. We’d made the switch from Sainsbury’s to Aldi previously to save money, however the convenience of Sainsbury’s caused us to fall back into old habits. This time I’ve promised myself this is the start of a new money-saving venture. We got an entire week’s shopping (with LOADS of fresh fruit and vegetables) for just £48 in comparison to £100 when shopping at Sainsbury’s. If you haven’t tried Aldi yet, you have to! 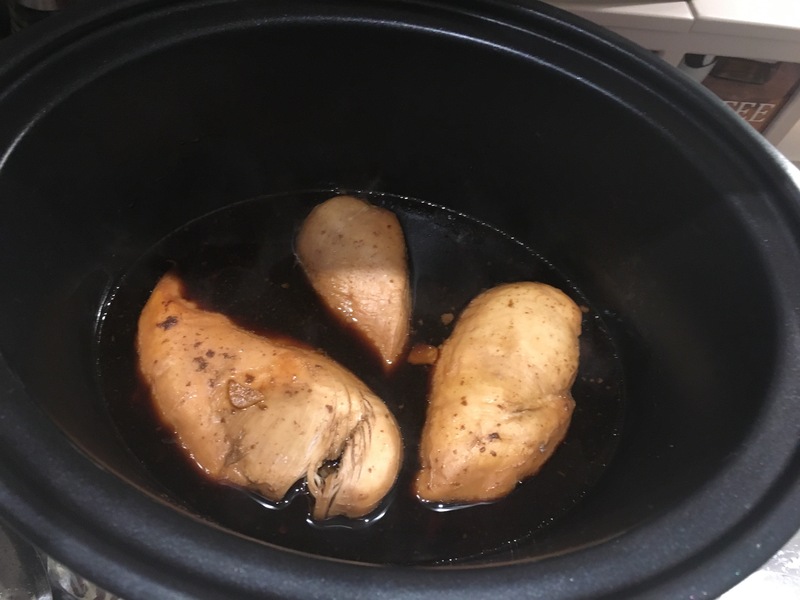 I had been craving Chinese food so I’d decided earlier in the week that I wanted to make ‘fakeaway’ in the slow cooker. I didn’t want to spend money getting a ‘real Chinese’ or waste any calories on it either. Instead, I made teriyaki pulled chicken with egg fried rice and it was UNREAL! The 5/6 hours it took was well worth the wait and it was so simple to knock up as well. If you have the time on a Sunday a slow-cooker dish is a real treat! 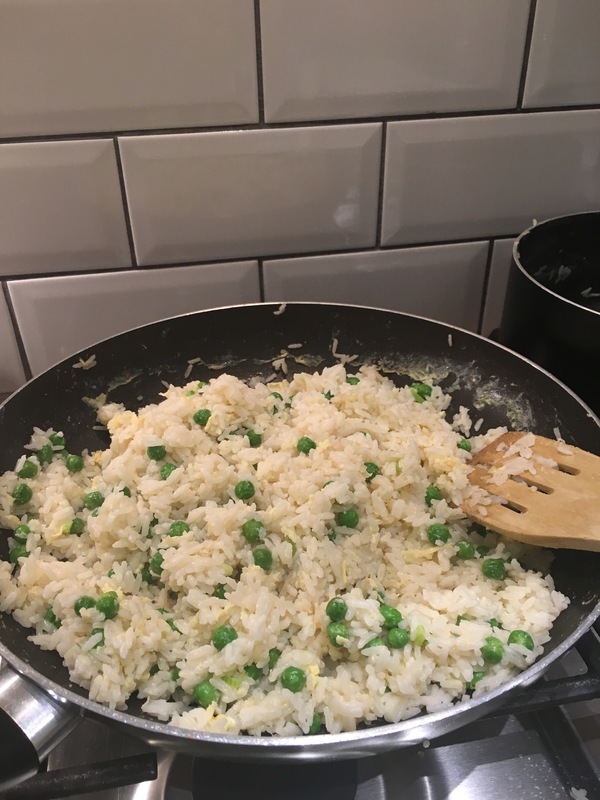 I also made loads of extra rice for lunch and dinner tomorrow. I haven’t been feeling very well recently. I’ve had waves of dizziness come and go and unfortunately, when I sat down to eat my dinner another spell came over me. As a result, I didn’t eat all that much. The only bonus is I get the leftovers for lunch tomorrow! I used not feeling great as the perfect opportunity to chill out, rest and get some meal planning done. I created an excel spreadsheet with an entire month’s meal plan and accompanying shopping lists. Obviously, I will add to these and edit as necessary throughout the month but I like to be organised. It keeps us on top of our diet and our spending! Do any of you plan your meals that far in advance? Or do you prefer to do it weekly? I’m off to pack my things for going swimming tomorrow after work and get some sleep. Night.